With the official release of Tempest by Bob Dylan coming in seven days, the full-length reviews are beginning to appear in the press. People appear to like it a lot. I can’t be sure, but I’m beginning to suspect that this might be the break-out album for Bob Dylan—the one that makes him a household name. On the other hand, maybe not. If it flops, I guess he’ll have to just go back to writing songs for Adele and Tom Jones. 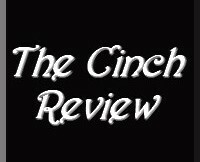 Joking aside, just as with the “preview” reviews, one can very quickly read too much of the “real” reviews, and so I’ve really only been glancing. Like most mortals, I’m looking forward to hearing the record(s) completely myself, and I suppose I’ll get round to writing something about it here afterwards. The promotion for it has been quite something. From the “listening locations” where even now one can hear tracks streamed to one’s “device,” to the “pop-up stores” where one will be able to go on the evening before the release to buy it early … and all of this began with those “listening sessions” for select members of the intelligentsia, who were all blown away. In total it amounts to a perfect storm. Put another way, an ideal tempest. 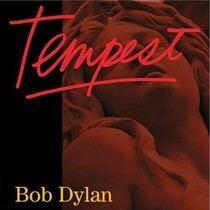 The official word on the forthcoming Bob Dylan album, titled Tempest, has come via a press release at BobDylan.com.